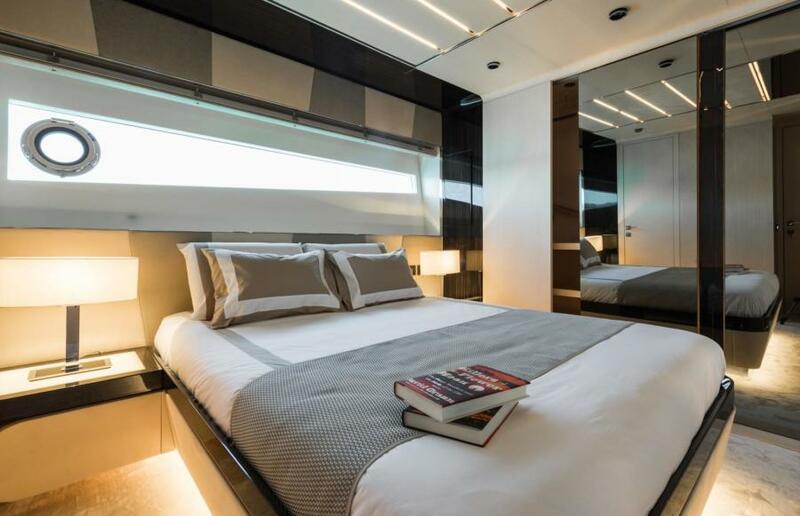 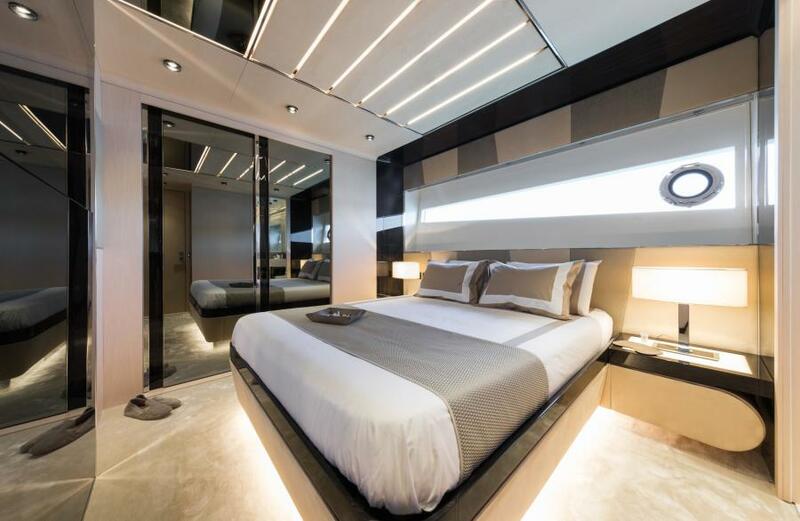 The 90-foot (27.35m) KALLIENTE is a multi-award winning yacht and a bespoke vision of future yachting by Dominator.KALLIENTE is a genuinely unique yacht that showcases striking, modern exterior lines and a stunning contemporary interior. 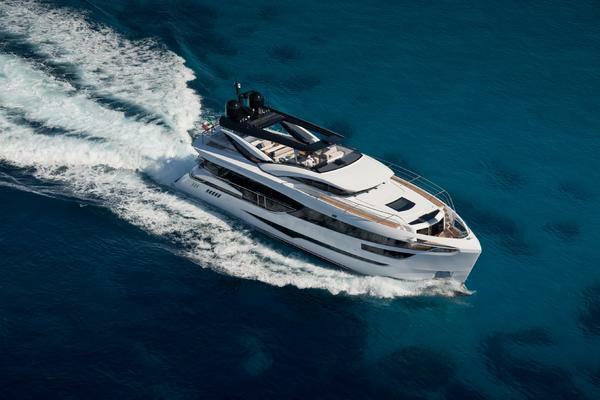 The motor yacht has outstanding maneuverability and fuel consumption for a yacht in her size range thanks to her Reintjes pod drive system. 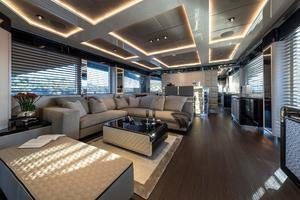 Her exceptionality brought her to win the award for “Most Innovative Yacht” in the 24-38 meter category at the 2017 World Yacht Trophies.Designed by one of the most talented designers today, Albero Mancini, the luxury yacht’s bespoke interior exudes modern elegance showcasing rich woods and fabrics throughout. 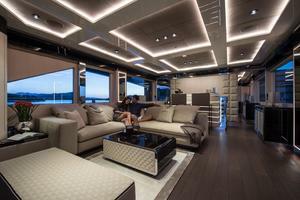 Her main salon has a sociable ambiance featuring a lovely seating area and bar with a wine cellar. 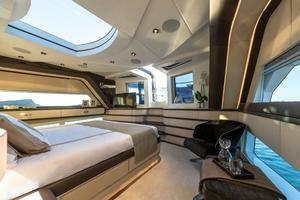 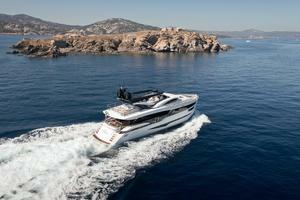 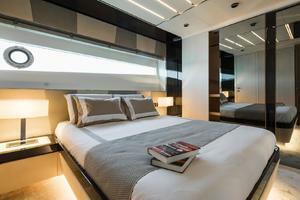 KALLIENTE welcomes 10 guests in five contemporary styled staterooms. 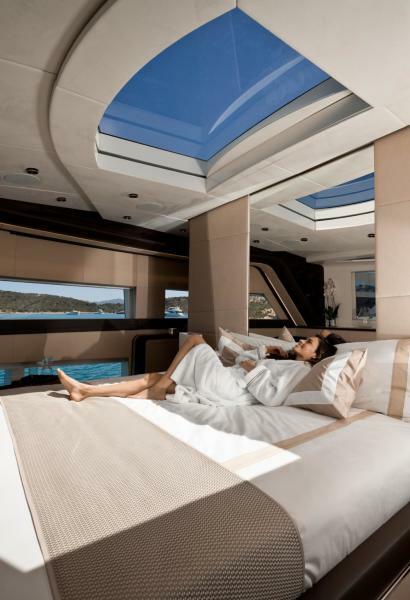 Her main deck master suite is a private oasis complete with its own secluded terrace on the bow. The yacht additional four staterooms are located on the lower deck.The motor yacht’s sundeck offers it all — sunbathing, a Jacuzzi, bar, dining alfresco and spectacular views of your destination. 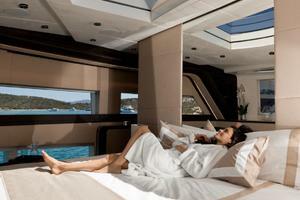 It also offers the option for sun or shade with a retractable sun shade. Dining alfresco can also be found on the aft deck.Offering uncluttered decks, KALLIENTE’s tender is stowed in the transom garage. 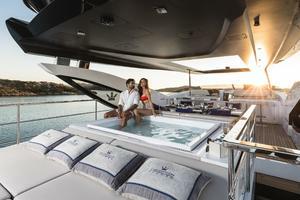 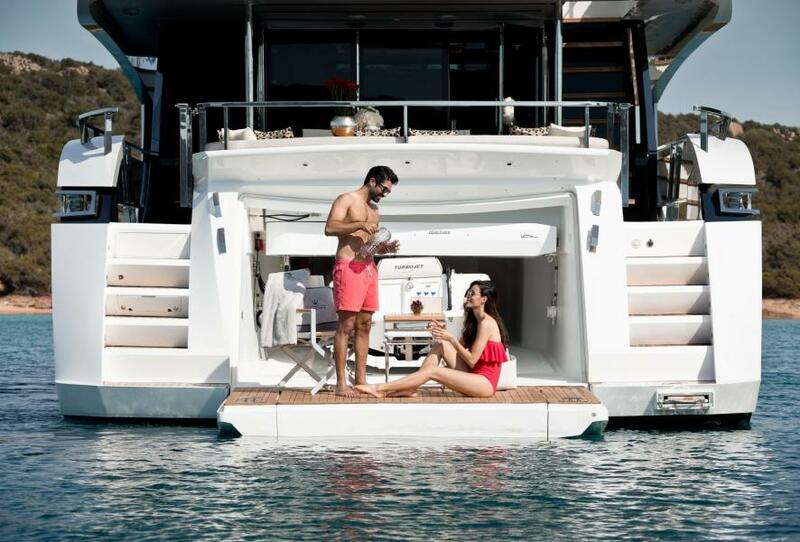 The yacht’s fold-out beach area with an Opacmare transformer creates a haven right at the water’s edge allowing for tranquility and fun in the water. United Yacht Sales New Jersey would love to guide you through a personal showing of this 88' Dominator Ilumen 28m 2017. 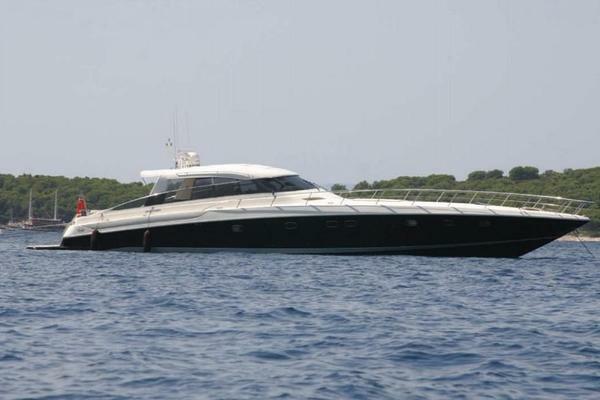 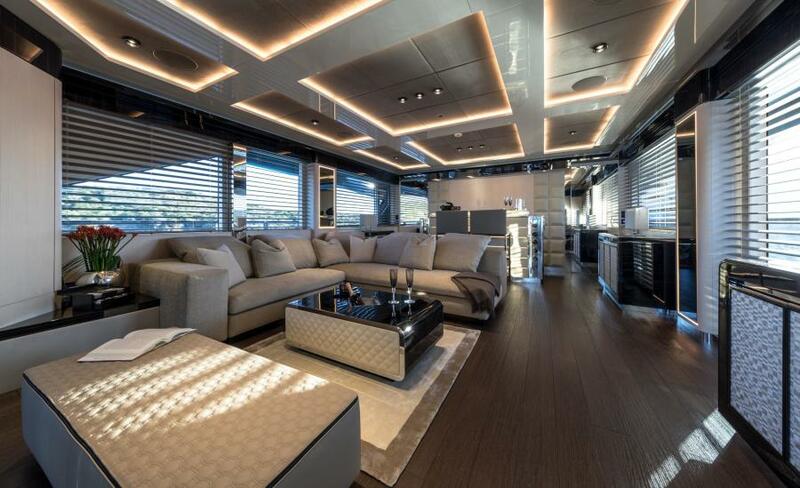 This yacht for sale is located in Fano Italy and priced at $6,674,593. For a showing please contact us by filling out the form on this page and we will get back to you shortly!